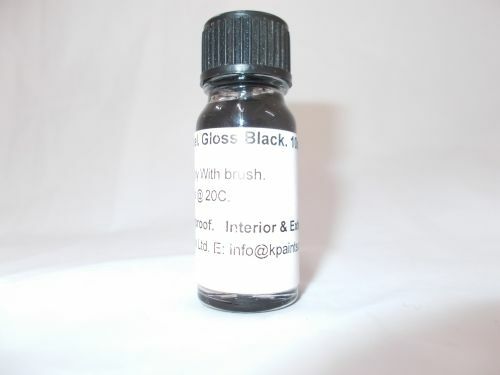 10ml Black Gloss Scratch Repair Touch Up Paint Door Furniture Window - Paints R Us - Number 1 Supplier of your Paint Supplies - We supply paint FAST!! Touch Up Black Gloss Enamel is a handy 10ml bottle complete with application brush fitted inside the cap. This product is ideal for repairing minor scratches to all household surfaces such as : Doors, windows, furniture, appliances, fixtures, fittings, bath, shower, tiles etc.